The following animation is a representative example of some of the features to be aware of when operating excavators on site. It is not exhaustive and there are many other issues surrounding the maintenance and operation of excavators including the Record of Thorough Examination, Operator Competence and Excavators Used For Lifting, which we will cover later on this year. 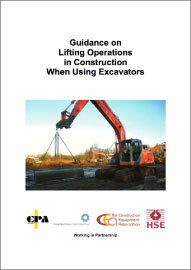 The Construction Plant hire Association (CPA) have previously published guidance on excavators used for lifting (Guidance on Lifting Operations in Construction When Using Excavators). The Strategic Forum Plant Safety Group is now planning a further revision of this document in 2016. 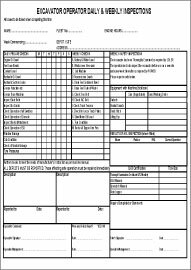 Raydar Safety Ltd currently produce Lift Plans for lorry loaders, telehandlers and excavators for our Clients; approved by UKCG members on their respective sites.